Poll #1462437 Friday! Friday!! Friday!!! pooplord -- Maximum acceptable number of tweets that one should post per day? Zero. Twitter is so July. As many as you can before you delve into your breakfast menu, a lament/delight as to what day of the week it is, or a declaration of boredom. Exactly no more or no fewer than Larry King. eideteker -- Foot rub, hand rub, shoulder rub, etc.-- What body part would you most like rubbed? By what celebrity? How excited are you when you find out you have to/get to reciprocate? I hate you. Gary Busey | Head | In need of delousing. Mackenzie Phillips | Feet | Fatherly. Nancy Pelosi | Neck | Like a concert harpist. Jon Gosselin | Ugh, anything | Like I'm living the Ed Hardy lifestyle. Strap him in a chair eyes clipped open ala Clockwork Orange and force him to watch a highlight reel of Zach Braff's most whiny/mewlish/castrated moments from the entire Scrubs series while waxing out every floppy hair from his body. Waterboard his smug face with Red Bull. Tie him up with strings of earbuds and roll him down a rocky hill. Make him try to figure out some funny way to answer this question. Michael Jackson's death was the best one of this year. Sub Zero had one of the best finishing moves ever! 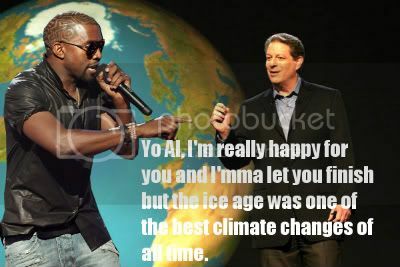 The ice age was one of the best climate changes of all time. 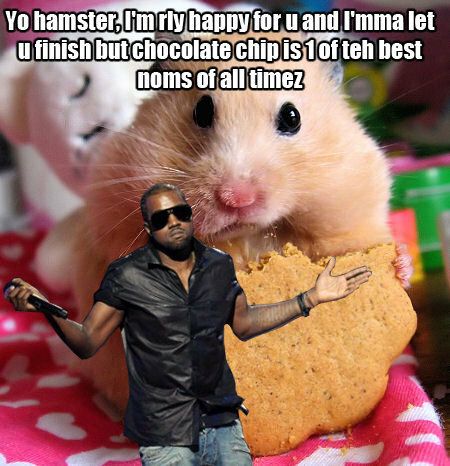 chocolate chip is one of the best noms of all time.